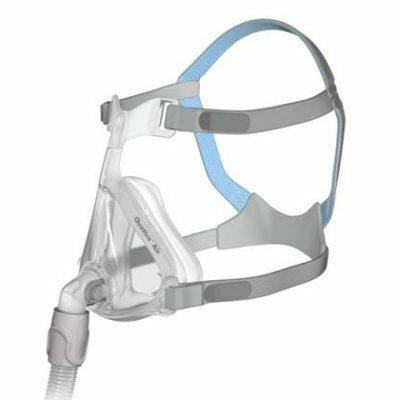 The DreamWear Full Face CPAP Mask’s innovative design directs airflow through a soft, silicone frame so you can sleep comfortably with more freedom of movement. The minimal contact, under-the-nose full face cushion provides a secure seal without red marks, discomfort or irritation in the nostrils, mouth, or on the nose bridge. DreamWear adapts easily to a wide variety of sleeping positions and always provides a wide open field of view. One of DreamWear’s most exciting innovations is the soft frame that directs airflow through two silicone tubes to join at the full face cushion. Because the frame is soft it adapts naturally to facial contours without pinching or pressure points; and it will accommodate almost any sleeping position. If you sleep on your back DreamWear distributes therapy air through both tubes equally. If you shift onto your side DreamWear’s lower tube compresses to maintain a comfortable seal without pressing into the skin; therapy air is channeled into the open, upper tube maintaining an unrestricted airflow at prescribed therapy levels. Optional soft fabric wraps can be wrapped around the tubing for extra plushness! 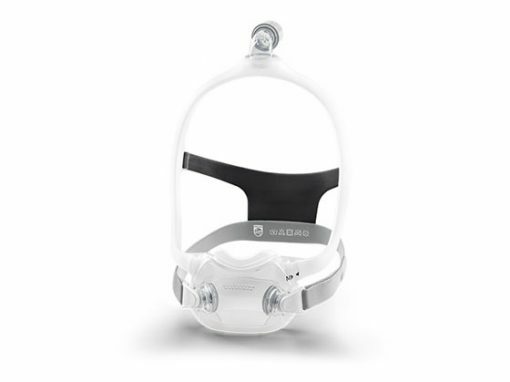 The DreamWear mask’s full face cushion rests under the nose, providing airflow to both the mouth and nostrils without actually inserting into the nose or exerting any excess pressure. 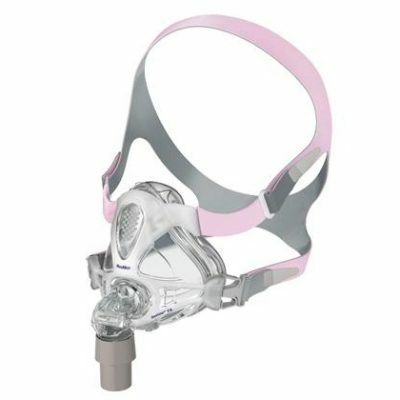 Because of the cushion’s low profile design, there is absolutely no contact on the top of the nose or at the sensitive nasal bridge. 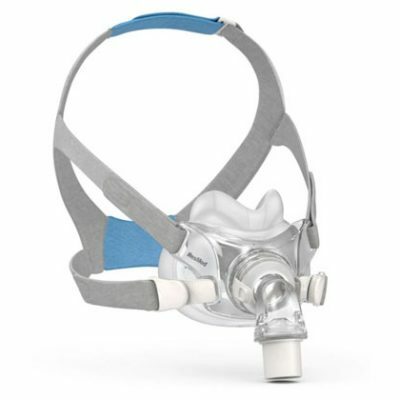 Exhalation ports on the cushion, and in the mask’s elbow, quietly disperse excess air. This DreamWear mask is also compatible with DreamWear Nasal Cushions and DreamWear Gel Nasal Pillows, so if you want to sleep with a full face mask one night and a nasal or pillow the next night it’s easy!